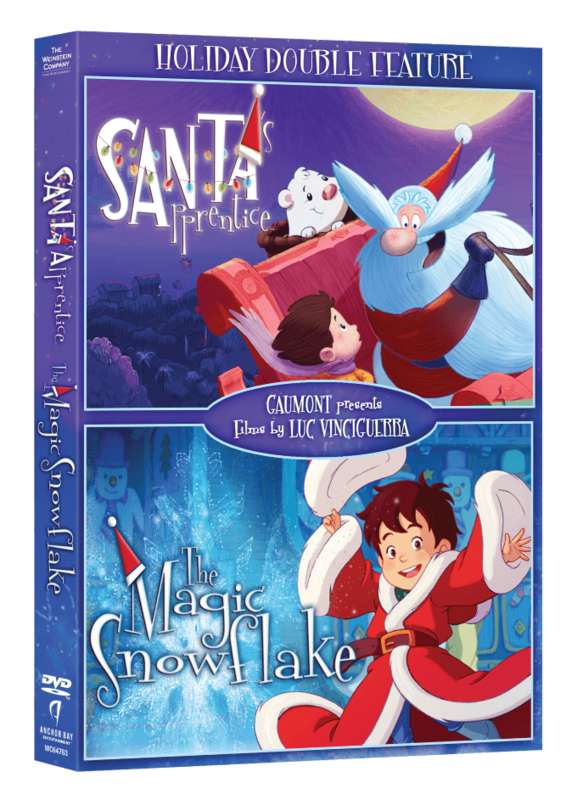 Santa’s Apprentice and The Magic Snowflake are the perfect animated tales filled with holiday magic for the whole family. They are perfect for holiday gift giving! They are now available on DVD, Digital HD and On Demand, and special DVD double feature. 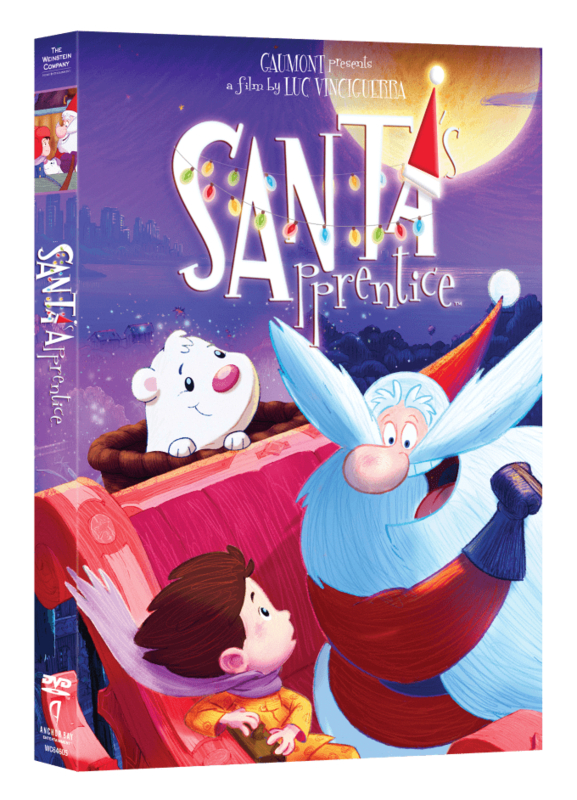 In Santa’s Apprentice, starring Julie Gayet (My Best Friend, Select Hotel), Jean-Pierre Marielle (The Da Vinci Code), Max Cullen (The Great Gatsby, X-Men Origins: Wolverine, Australia), Gabe Eggerling (The Kicks, “Jake and the Never Land Pirates”), Santa doesn’t want to retire, but rules are rules and he must train someone to replace him. The lucky winner, to be chosen from among millions of children, must be named Nicholas, be an orphan and have a pure heart. On the other side of the planet, there is a little boy who is a perfect match, but his lack of self-confidence and fear of heights make him a poor contestant. Will Santa agree to step down, and help his apprentice take his place? 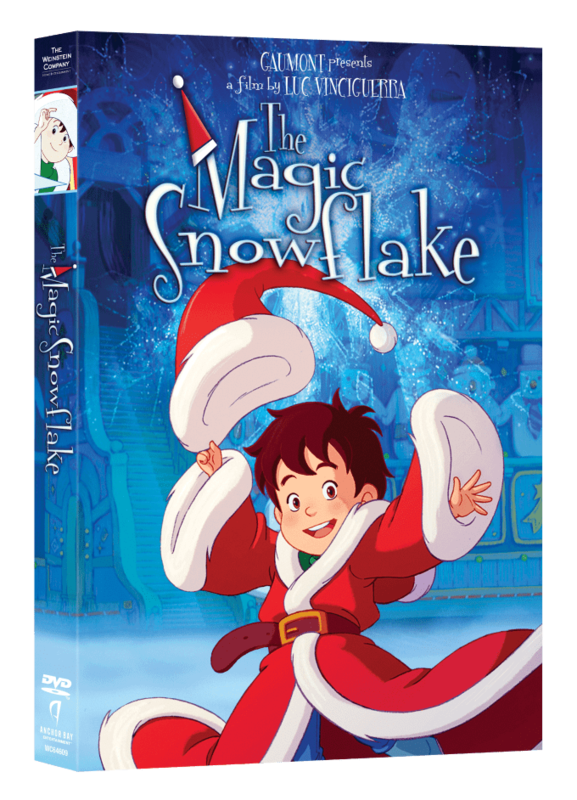 In the sequel to Santa’s Apprentice, The Magic Snowflake, starring Vincent Grass (The Chronicles of Narnia: Prince Caspian, Ernest & Celestine), Nathan Simony (Santa’s Apprentice, “Merlin”), the new Santa is a seven year-old boy. As Nicholas contracts the illness of those who want to grow up too fast: Grown-up-itis, The Council of Retired Santas is forced to relieve him of his duties and appoint an experienced Santa who will be able to manage the delivery in time. To get his job back, Nicholas must regain the innocence, freshness and carefree attitude of his childhood. Each DVD Double Feature also comes with 16 festive holiday decals in-pack! Find out where you can purchase your copy on Go Watch It! My girls love Christmas movies! We’re full on Christmas as soon as they start playing on TV.